Do you have a minute? Quickly write down four qualities that customers would like sales people to demonstrate before they buy from them (No peeking!). When I run this session, I write the acronym IKEA vertically down the flipchart and ask people to come up with qualities that start with the four initials, sometimes adding letters if they get stuck. 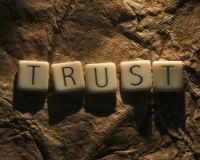 I for Integrity, people want to deal with people they can trust especially if this is a relationship sale. K for knowledge, which should include the sales person’s own company, processes, products/services and people; the industry and market; and last but not least as much about the customer’s business as they can. E for Empathy, make me special and show that you care about me as an individual. I answer the phone “Hello, John Fowler” and get incredibly annoyed when the person at the other end says “er, can I speak to John Fowler”. A is the one most people don’t get so I start giving more clues – Au, Aut and in one workshop at this point one of the sales people shouted out “Autustic” – hmmm. Of course, A for Authority, because when things go wrong the customer wants to ensure the sales person has the authority within their own company to make things happen. This could also be seen as a certain gravitas and standing. Sales managers can use this as a team builder, getting pairs of sales people to come up with ways of demonstrating the IKEA qualities. Let me know what qualities you think sales people need to succeed in today’s business climate. This entry was written by John, posted on April 20, 2010 at 9:33 am, filed under Customer Focus and tagged customer commitment, sales competencies, sales managers, sales person. Bookmark the permalink. Follow any comments here with the RSS feed for this post. Post a comment or leave a trackback: Trackback URL.